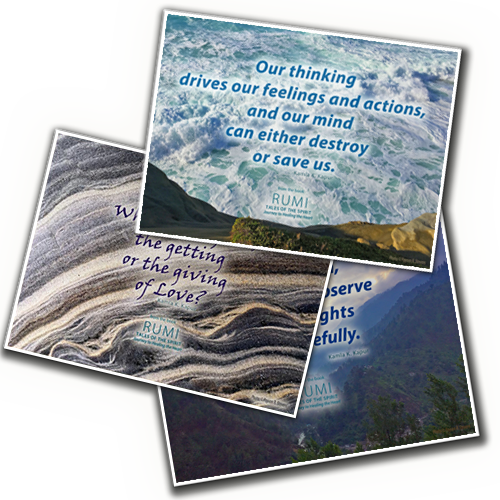 RUMI: Tales of the Spirit, A Journey to Healing the Heart! This book translates the ancient wisdom of a 13th century mystic into lessons for today. It is a sweet, comforting, and at times fiery guide to nourishing the heart and the spirit. 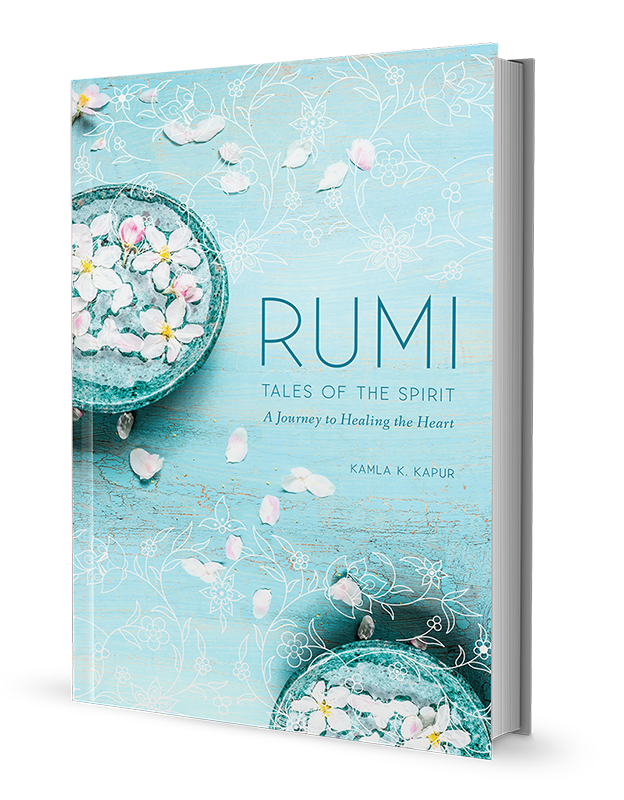 In a hopeful and pragmatic tone, timeless storyteller Rumi and award-winning author and playwright, Kamla K. Kapur, guide us through the trials of life and teach us to fully embrace them, move through challenges, and ultimately surrender to the Cosmic Will. by Mandala Publishing (March 12, 2019). Three Exclusive FREE gifts await you. • You will be signed up for Kamla’s mailing list. • Your contact information will not be sold or shared to anyone. for life’s trials and gifts. teach us to live a happier more fulfilled life. Kamla K. Kapur is a critically acclaimed author, playwright and poet. Her many books reimagine myths and stories from various traditions of the East.She has studied Rumi for 20 years, delving into his complex, multi-volumed Mathnawi to bring us some never before told stories, offering the wealth of the ages and timeless wisdom. Kamla’s work has received numerous awards. She was also on the faculty of Grossmont College, San Diego for fifteen years teaching composition, literature, creative writing, mythology, and Shakespeare. She now divides her time living in the remote Kullu Valley of the Indian Himalayas and in Southern California, with her husband, Payson R. Stevens. Kamla has written an amazing book [in which] she shares Rumi’s untold stories combined with her own rich perspective- expanding commentaries, making them highly relevant to all of us, opening doors and windows in our minds through which we can glimpse a different, lighter, more joyous way of being and living. 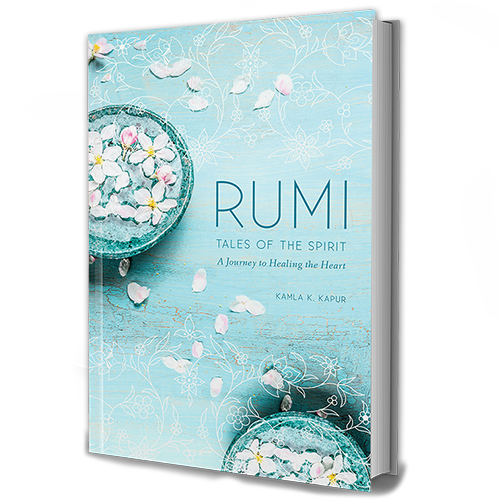 Rumi’s never-before-told stories coupled with Kamla Kapur’s deep wisdom about the journey from suffering to peace provide us with an elegant road map.